I’ve partnered with Vaseline to bring you this post. All opinions are my own. I have always had dry skin. For the last 5 years or so, right when I get out of the shower, I immediately lather my entire body in lotion to avoid my skin being super dry. 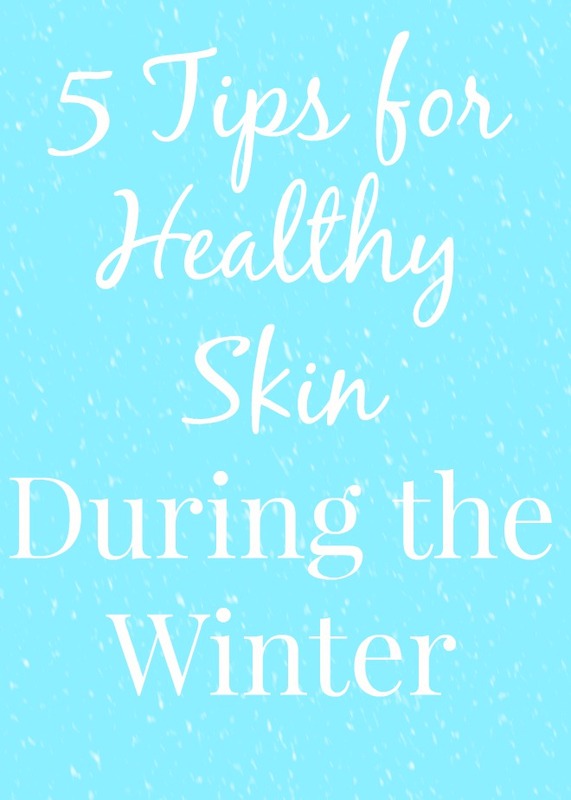 The winter months are the harshest on your skin because the air is so dry and the weather so cold. I live in Michigan and this year for some reason, my husband and I are both complaining that our skin seems to be dryer than ever. 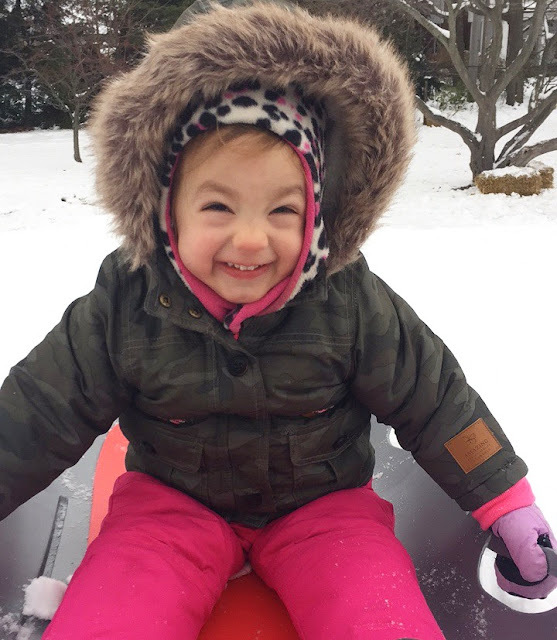 Adalyn loves sledding, building snowmen and walking the dog in the cold weather. That means that I am out there doing it too! We love to go outside to play in the snow and it is important to me to keep our skin looking great even in the freezing weather. These are some of the tips that we do to have healthy, moisturized skin year-round and especially during the winter months. When you are dehydrated, it can show on your skin. Drinking plenty of water helps keep your skin moist and helps to reduce the appearance of wrinkles and line lines. Hydrations helps to keep your blood flow going, helps cells take in nutrients and get rid of toxins. Aim for 8 cups of water per day. If you want to have other beverages, tea and coffee count also which is great on a cold winter day. Green tea is a great choice for tea because it is rich in antioxidants and can help stop inflammation and slow DNA damage. Foods that are rich in antioxidants have a protective effect on the skin. Antioxidants slow and prevent damage from free-radicals which can make your skin dry and look poor. Some of these foods include blueberries, kale and other greens, oranges, carrots, tomatoes, sweet potatoes, nuts and more. We always have an in-room humidifier and it helps a lot with keeping us moisturized during the night. Our room humidifier recently broke and we can definitely tell the difference. We wake up with dryer skin, dry mouth and our noses are especially dry on the inside. I had my husband haul out our whole house humidifier to put upstairs and keep us moisturized and it is making a positive difference. Omega-3 fatty acids are excellent for making a natural oil barrier on your skin and keeping away dryness and blemishes. Omega-3 fatty acids are also great for brain health. You can find them in flax seeds, walnuts, fish such as salmon and sardines, chia seeds and walnuts. Years ago, I learned that using a quality lotion is very important for healthy, moisturized skin. I stopped buying the super-scented lotions from popular beauty stores that seemed to dry my skin out more than anything else. I love the Vaseline® Intensive Care™ Essential Healing Lotion which can be found at Walmart or any of the lotions from Vaseline®. I have been using these for years and choose the extra moisturizing ones for winter and the lighter lotion sprays for summer. It contains deep healing moisturizers and Vaseline® Jelly to heal dry skin. I apply this all over my body (and to my growing pregnant belly too!) after my shower and my skin feels so good when I use this.Vaseline® Intensive Care™ Essential Healing Lotion leaves skin deeply moisturized and looking noticeably healthier.